I allow to treat myself once per week to Starbucks coffee, always on Saturday after one of my 9 hour shifts at my second job for a little pick-me-up for the afternoon. 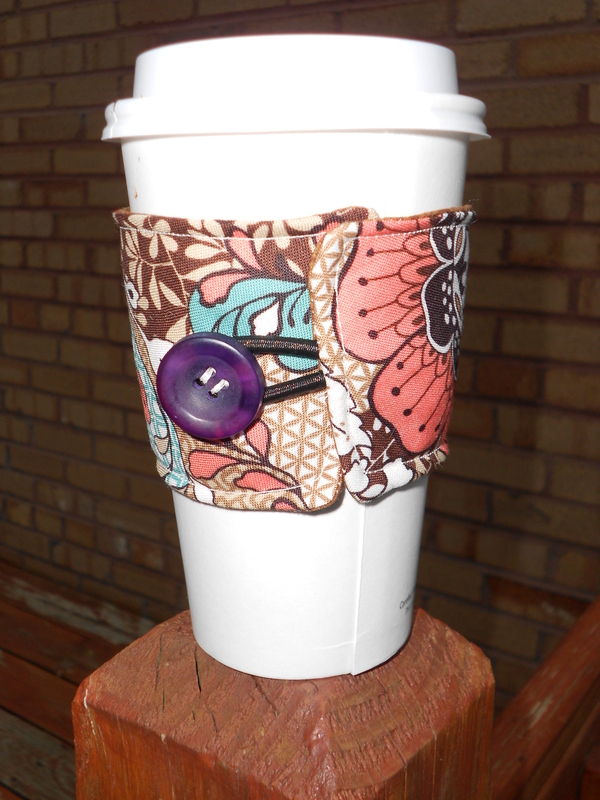 As I was driving to the 3rd job with my delicious Peppermint Mocha, I looked at the brown cozy and thought “this could make a delightful pattern.” As my 45-minute drive progressed the wheels were also turning in my head as I realized I could create my own coffee cup cozy using this pattern and upon arrival of home in the evening, I did! I traced the origial cozy and added a 1/2″ to each side. For some reason, I know I do better with larger seam allowences. With the pattern, I cut out and started tracing on some fabric that I had as left overs. 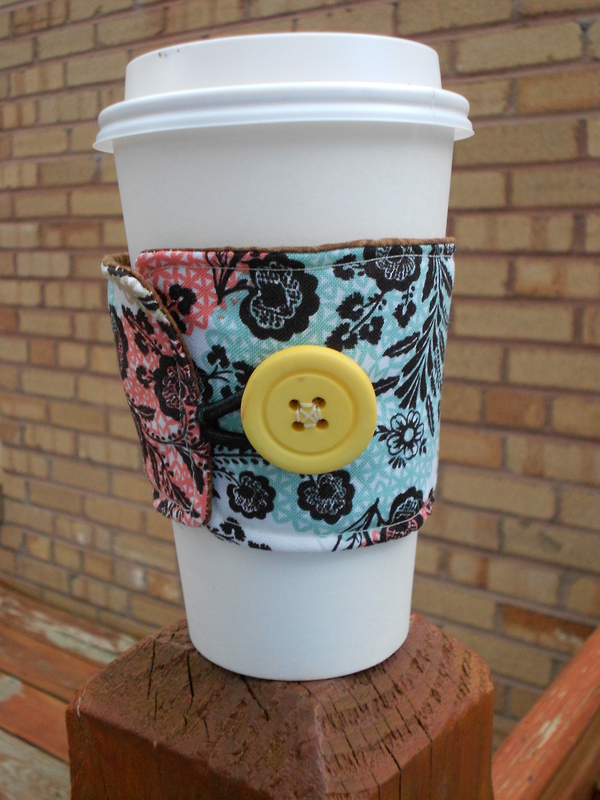 I decided that just by using a couple pieces of cotton fabric just wouldn’t be enough to protect my hand from the hot coffee cup so also used the same pattern to make a cotton batting insert. Using a new hair tie and very cute button, I created these masterpieces! These are just two different patterns of fabric used. Please visit ImaginationHarmony, my etsy site for more styles and to purchase! Previous Basket full of fun! Next Make-up is my best friend!